December 2013 | Pentaflex INC. December 2013 | Pentaflex INC.
Each year Pentaflex sends our management team to attend various trade shows and conferences. This year we had the opportunity to attend the 2013 FabTech conference and exposition in Chicago, Illinois. Around 40,000 attendees involved with metalforming, welding, assembly, and coating operations were in attendance. The event was held at the McCormick place. The 600,000 square foot facility allowed 1500 exhibitors to display their equipment and services. The FabTech show was also used to introduce the winners of the Precision Metalforming 2013 Manufacturing Excellence awards. 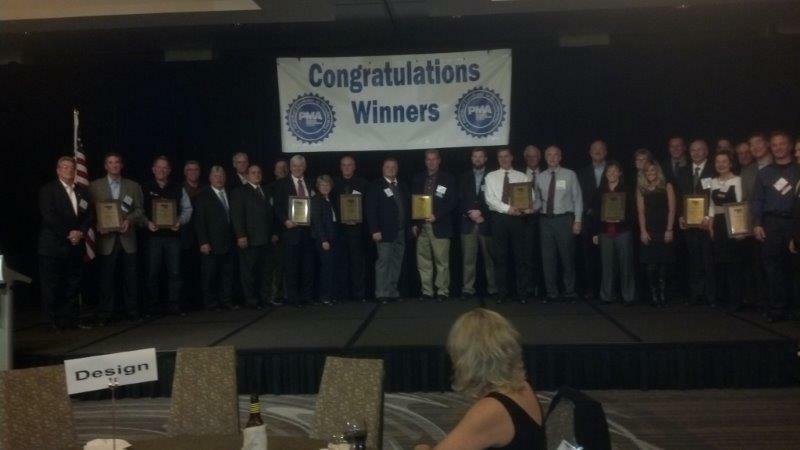 Pentaflex was selected as the award winner for two of the awards in the categories of productivity and quality systems. 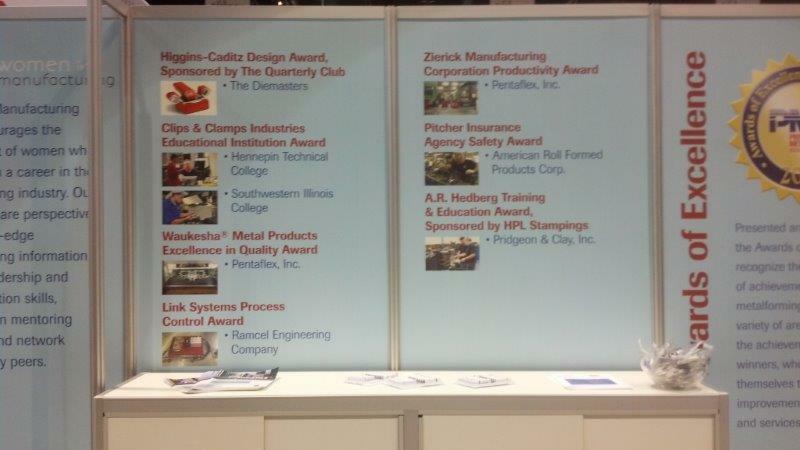 Press releases, articles in the Metalforming Magazine, and recognition in the PMA booth at the Fabtech show discussed the Pentaflex awards. Conferences like this one are a great way to learn about the newest trends throughout the industry. As you all know American manufacturing has been a hot topic in the recent year. The lead article from the FabTech show daily newspaper highlighted that manufacturing in the US is here to stay. The article went on to explain manufacturing needs that will support continued growth in the US. They included: 1) giving businesses certainty—businesses can’t plan without certainty on taxes, regulations, health care, etc. 2) remember small businesses in tax reform—–most small businesses are S corp and need to be thought of the same as C corp businesses, 3) Don’t sacrifice innovation and capital investment in the name of tax reform—many tax credits hanging in balance for continuation into 2014, 4) training for young workers the skills needed for manufacturing careers—manufacturing jobs are good, high paying jobs requiring sophisticated math and mechanical skills. The keynote speaker for the FabTech conference was “Pro-Business” economist Alan Beaulieu. He highlighted that even though most of the country thinks we are in a recession we are actually in a sustained period of growth—-albeit small. His advice to businesses is to prepare for good years in 2015-2017 by spending money on capital investments in 2014 before rising interest rates and additional regulations from Dodd-Frank increase costs. He also stated that there would be a slight downturn in the second half of 2014 and that time can be used to install new equipment, train workforces, and ready companies for the three years of increased growth that he sees from 2015 to 2017. Pentaflex is following that strategy and has recently purchased two new servo presses to be installed in 2014 which will provide added capacity and process forming capabilities going forward. We couldn’t be more excited about the years ahead.